I still recall that positive feeling I got when I landed in Singapore. It was around 4 am in the morning and the city didn't look sleepy at all, I could see big offices and all lit up. When you enter a big cosmopolitan city, you can feel it through the vibes of its people, the way its building look, offices look , residences look and most importantly the way one dresses. 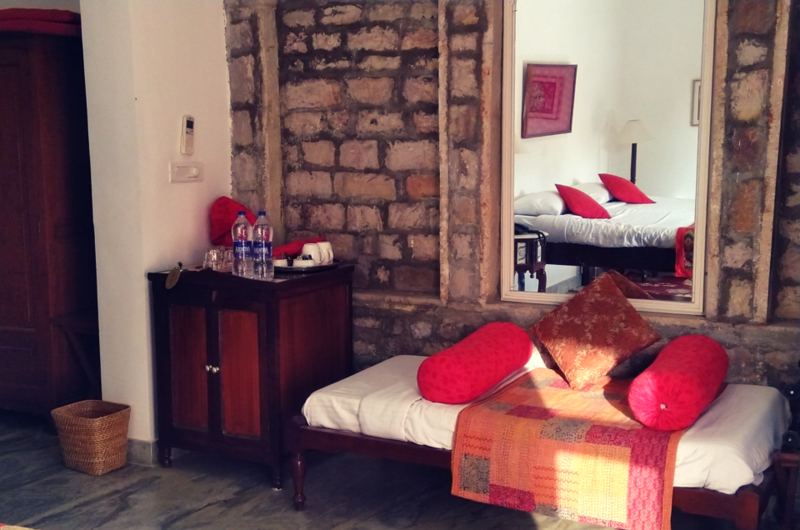 Initially we checked in at a hotel in Little India and later shifted to Value Hotel Thomson at Thomson road. Now both the places I just talked about, are totally different. 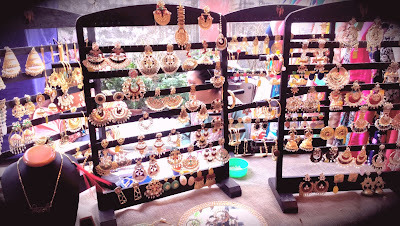 Little India is definitely a place where Indians will love to reside as it is overcrowded with Indians, Malayali and Ceylonese. You will find all kind of restaurants serving Indian cuisine, Cuisine of Srilanka and great South Indian food even. There are lots of jewelry house, clothing store and definitely all things necessary for our daily life. If you need a mall to visit here you will find Mustafa Center which not only houses clothes, cosmetics, shoes, bags but batteries and transistors too and How do I know? 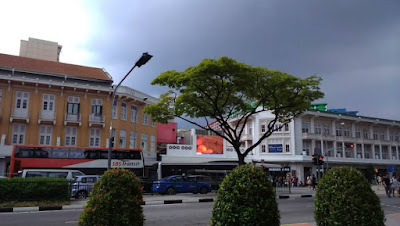 I was in search of transistor for my uncle and landed up at mustafa center.But Thomson road is within the central business district of the state city, linking many important roads, mostly having residences around it or Should I say only posh residence... Haha.. 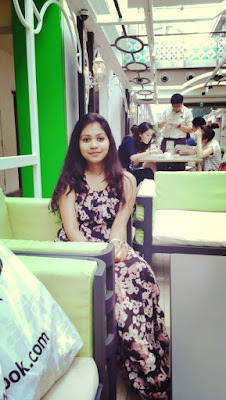 I actually loved Thomson road more and would love to reside there.Being a hotel management graduate I sometimes get this sudden urge to be a part of a luxury hotel at exotic location like this Singapore and settle down there. Coming to its cuisine, I admit none can make such good Fried Rice like the chefs at Singapore does.Its lip smacking and definitely on every foodie's lust list.I have tried street food for few days .. ( And yes street food means the one's we see on NDTV Good Times or Fox Traveler) and its worth it. But what turned me on.. got me that adrenaline rush - The Bugis Mall at Bugis Street. Now we are talking, its the place where a fashion lover like me will make a hut and spend her life. You name anything from your fashion lust list and you will find it here at Bugis street. I mean everything starting from doll like dresses, snowy boots, alluring lingerie's, stunning accesories, everyday wear basic tees, stone studded sandals. I felt how worthless I have been all through my life only because I was unable to buy them all. 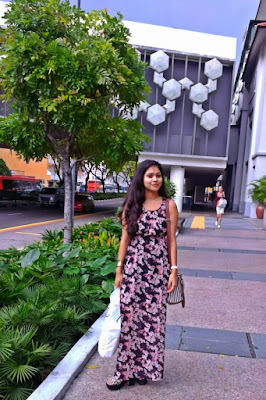 I bagged few stuffs from this place and felt nothing short of Ritusree in Wonderland.. Bugis Street is the fashion district of the city and hence every person walking on Bugis street, is a living guide about fashion. 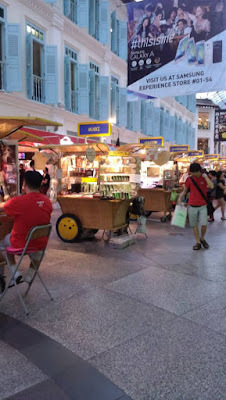 I will post some of my pictures captured at Bugis Street. Look Down. Keep reading and loving my blog . 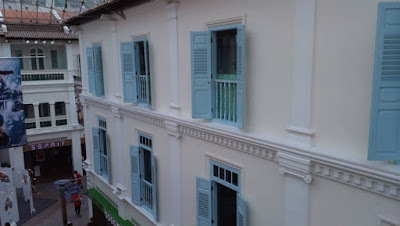 Part Two of Singapore Memoir will be up on blog soon.